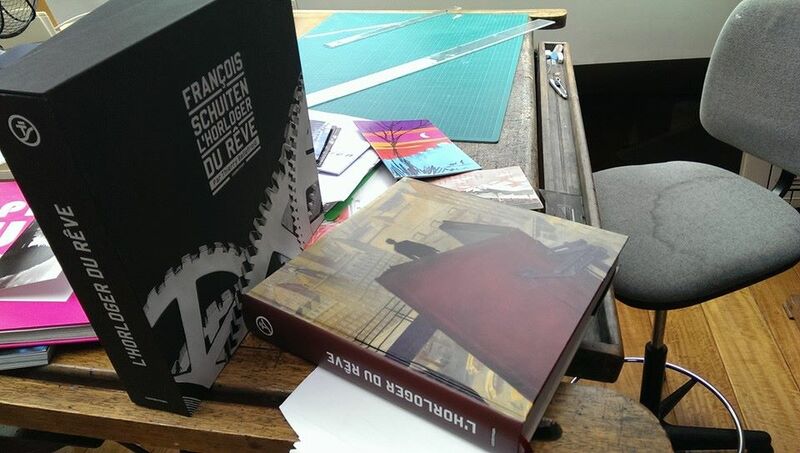 François Schuiten, l'Horloger du rêve (François Schuiten, the Watchmaker of Dreams) is a book about François Schuiten. 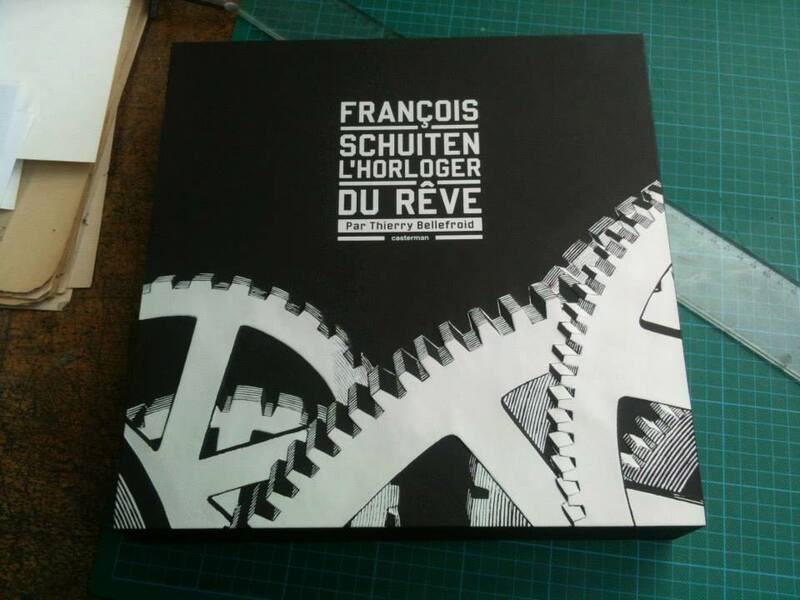 L'Horloger du rêve has 400 pages, with many illustrations from comic books, movies and exhibitions. The text is written by Thierry Bellefroid. 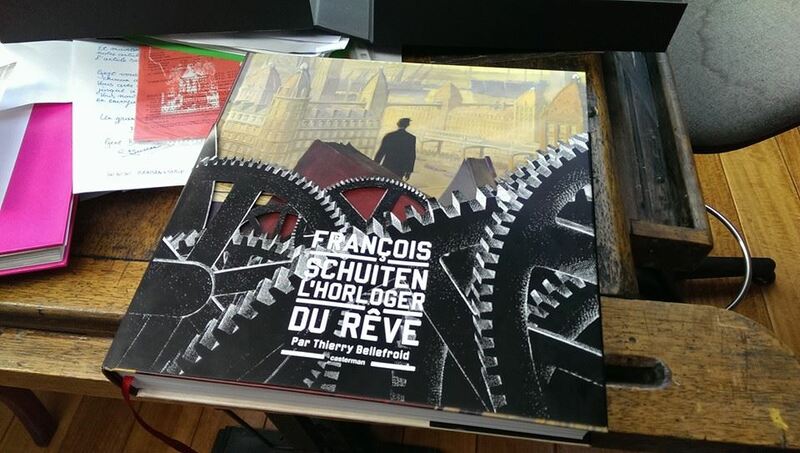 In L'Horloger du rêve, Thierry Bellefroid stands on a 400-page inventory of different creative paths followed by François Schuiten over a period of forty years. Best known for the comic book series The Obscure Cities that he created with his friend Benoît Peeters since the late 80s for Casterman, François Schuiten is more than a gifted designer. Born in the mid-50s, he was only sixteen years old when he published his first comic in the Franco-Belgian comics magazine Pilote. He began his first film collaboration while studying illustration and comic arts at the Saint-Luc Institute. Soon he would also work as a scenographer, designing large exhibitions, live performances, urban interventions, set designs and World's Fair pavilions. This book naturally begins with an exploration of his childhood in order to understand the roots of his passions. Then it crosses both the universe of The Obscure Cities and his work as a production designer with such filmmakers as Just Jaeckin, Jaco Van Dormael, Martin Villeneuve and others. 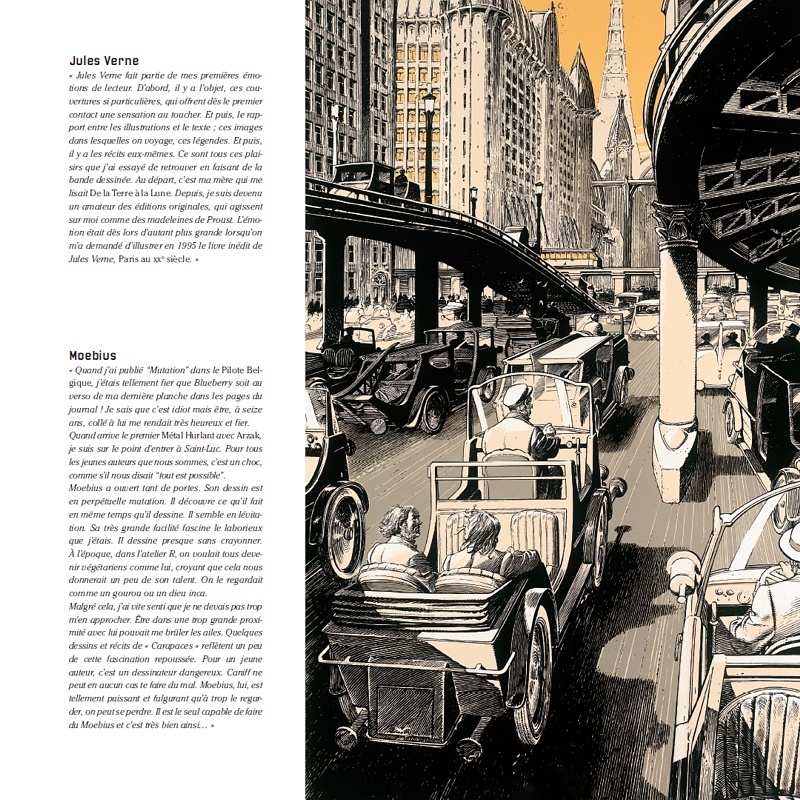 Three whole chapters are devoted to Schuiten's most notorious scenic achievements. Generously illustrated — largely with exclusive new images — they tell how the artist creates the dream on stage, whether it is opera, operetta or cirque shows, through his vision and pencils. Also an architect of international events, he knows how to develop strong images, as he has a deep understanding of the human anatomy, body movement, and of our relationship with time. Schuiten is well aware that both emotional and mechanical precision is required in order to immerse the viewers in a world of dreams. His qualities led him to often make some urban interventions, as he was able to do so in Brussels with the Metro Porte de Hal, in Paris with the Arts et Metiers station, in Amiens with the Jules Verne House, and in many other cities, from Lyon to Lille. Wherever he goes, his footprint — which transforms the urban landscape in a meaningful way — seeks to exploit some strong symbols and to connect the past and future. Finally, how can we not talk about his World's Fair pavilions? 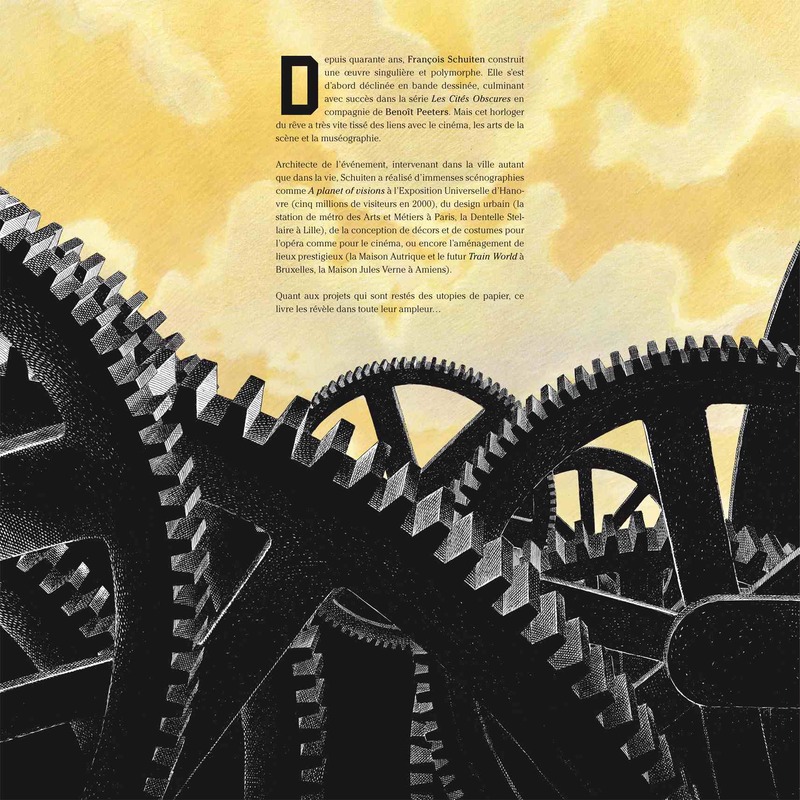 From Seville and Aichi through Hanover, François Schuiten is recognized for his bold imagination and rigorous creative process. Readers will discover how these modern architectures are built, step by step with determination, with a strong will to push the limits of what we think is possible. From childhood to the Saint-Luc Institute. Schuiten pays tribute to his great masters and shares his admiration for some of his colleagues. From Saint-Luc to The Great Walls of Samaris. Enlighting thirty years of creation on The Obscure Cities series. Ephemeral scenography. Living Arts and exhibitions. Urban scenography. Intervention in the city. The work of François Schuiten on World's Fair pavilions. From Gwendoline to Mars et Avril, the work of François Schuiten as production designer. Visions of an exceptional artist. At first glance, the book appears as both massive and fantastic. A deluxe black cover is offered in addition to the standard edition. Examples of some interior pages. There is a great dialogue in between texts and images. There are two versions of L'Horloger du rêve. A standard version (59 euros) and a deluxe version (150 euros). 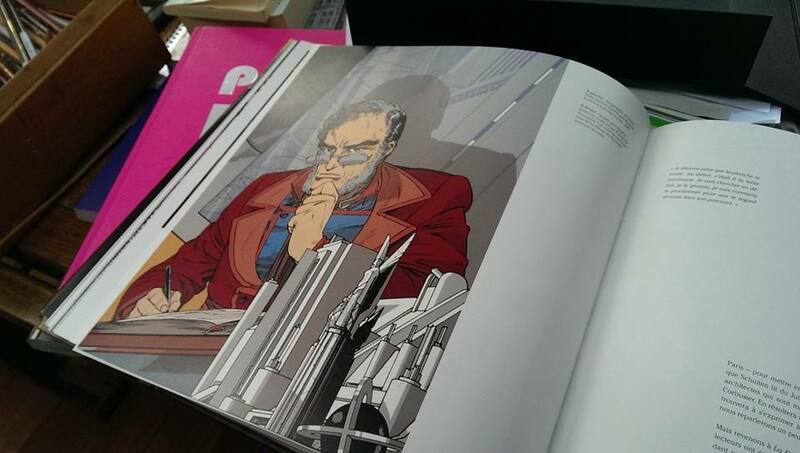 Both versions have 400 pages in color. 500 illustrations including many original, never-before-seen drawings. 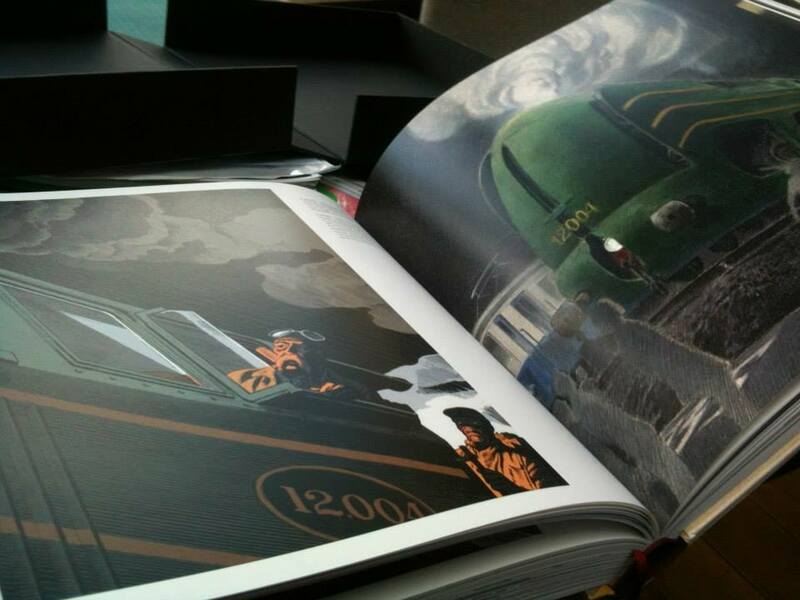 The dimensions of both editions are 29.5 x 29.5 cm and 5.5 cm thick. The deluxe edition has an additional 32 pages booklet, including 30 pages of comics and entirely new designs. The deluxe version is published in 500 copies, all numbered and signed. The deluxe version is offered in a luxury cardboard box with metallized paper and laser cutouts. In 2014 the standard edition was reprinted in a slightly smaller format. In 2017 a Chinese edition was published. It has the same size as the 2014 edition but is less heavy due to the use of thinner paper. Born in April 1966, Thierry Bellefroid is a journalist on the Belgian television where he hosts a weekly literary program called Livrés à Domicile. Regular contributor to the world of comics on radio for over fifteen years, he has published several books on the ninth art, including Les éditeurs de la bande dessinée (Niffle, 2005) and Le Roman d’Aire Libre (Dupuis, 2008 ). Author of novels and short stories, one of which has been adapted as a comic book by Catel (Quartet Casterman, 2008), Thierry Bellefroid also published in 2010 a graphic novel with Joe G. Pinelli (Féroces Tropiques, Dupuis). He teaches television journalism at the University of Louvain 1). L'Horloger du rêve has been released by Casterman on November 8, 2013. Comic shop Brüsel organized a meeting with François Schuiten with the release of the book. Après les années d'apprentissage, l'ouvrage retrace dans le détail toutes les expériences et les travaux conduits par le dessinateur, dans la BD mais aussi comme scénographe pour des spectacles vivants, des musées ou certains pavillons des expositions universelles de Séville, Hanovre ou Aïchi. 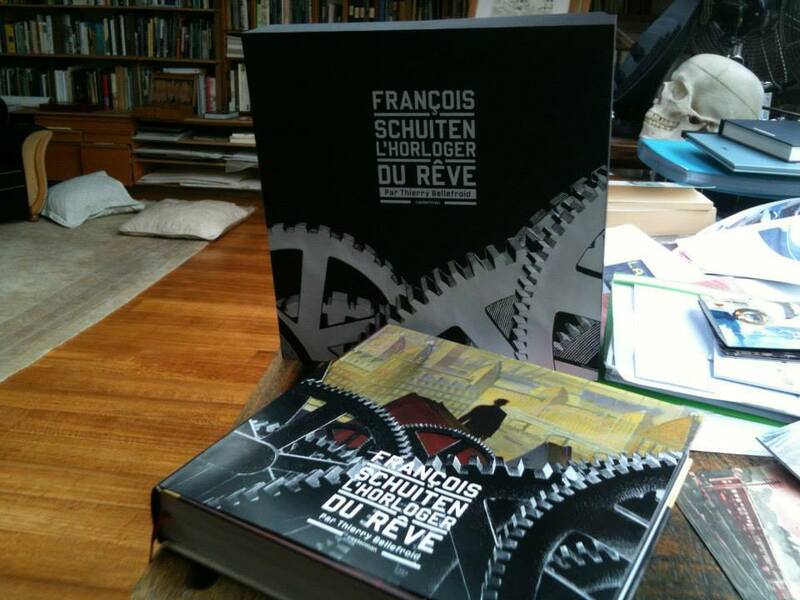 Cet ouvrage retrace tout un parcours d'artiste, reconnait François Schuiten. On y trouve mes succès, mais aussi tous mes échecs ! Mes projets avortés, mes collaborations interrompues avec le cinéma ou les nombreuses illustrations que j'ai faites pour des fresques telles que celle de Louvain-la-Neuve. 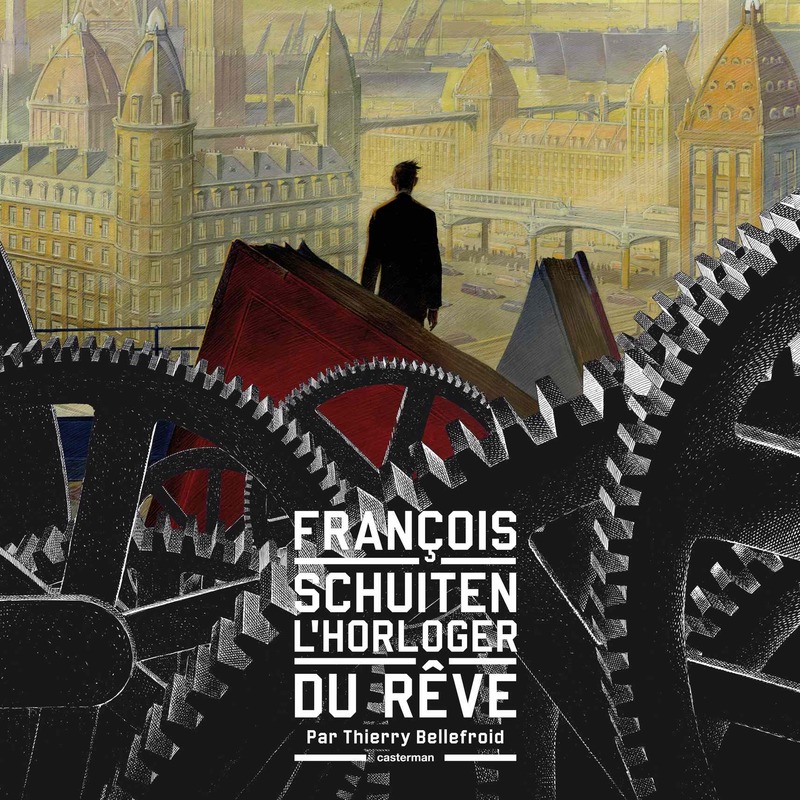 Interview by Jacques De Decker with Thierry Bellefroid, author of François Schuiten, l'Horloger du rêve.